Angular has exploded in popularity over the last few years, and for good reason. It provides a very different, and very appealing, approach to building web applications than that of most other frameworks, and it's surprisingly easy to build a real, working application with very little code. Unfortunately, it's just as easy to get stuck as it is to get started. Angular is powerful, yes, but the learning curve is steep, and while it makes easy things very easy, progress beyond that early rush of success can be tough. Many developers find themselves, a few weeks (or even months) into their first significant Angular project, wondering how things got so out of hand. This workshop will fix that. We'll start with an overview that puts all the major pieces of Angular in context, and explains their purpose and intent. From there, we'll dive into specific tools and techniques to help you build Angular applications that are maintainable, performant, and scalable. In short, we'll cover what it takes to build large Angular applications that are fast and robust, without losing the power and flexibility that Angular provides. 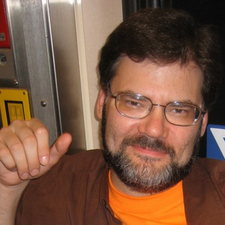 Bill Odom has been a software designer, developer, or systems architect for over two decades. For the last several years, he's served as a consultant, trainer, and senior software developer for organizations large and small all across the US. He's been building web applications across a variety of platforms, tools, and technologies since the earliest days of the web. He's spent much of the last couple of years as an instructor for Oasis Digital's Angular Bootcamp (http://angularbootcamp.com), teaching teams of developers how to build large Angular applications. 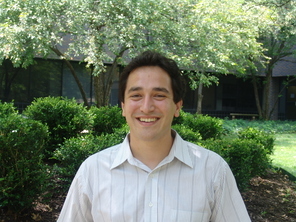 Matt Follett has been a software engineer or software architect for the better part of a decade. During that time he has helped solve a variety of problems related to genome sequencing, drunk driving, and network modeling and security. Lately, he spends his free time jumping between embedded systems development and web development.